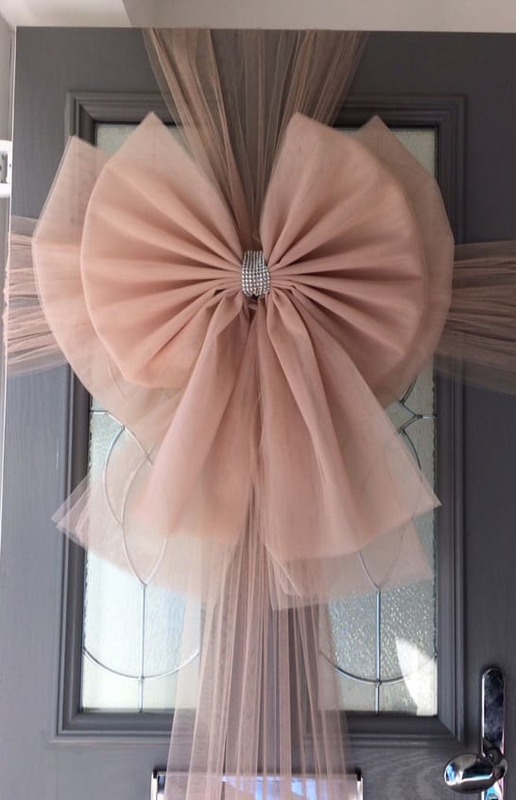 Our Rose Gold Deluxe Door Bow Decoration has been designed to compliment this years trend of Rose Gold for home decor and Christmas decorations. 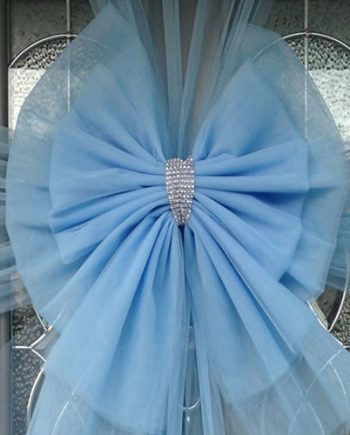 The Rose Gold Deluxe Door Bow Decoration can add a beautiful elegance to your front door, shop windows or garage. 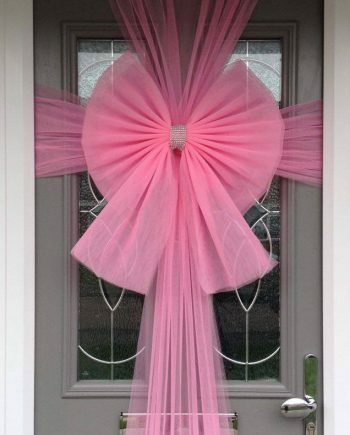 Our beautiful Rose Gold Deluxe Door Bow Decoration is designed with an extra layer in the bow to create a more luxurious bow compared to a standard door bow. The Rose Gold Deluxe Door Bow is approximately 50cm wide, and the wings are 40cm tall. A Sparkling silver coloured diamante centrepiece is attached to the knot to add the perfect finishing touch to your door decor. We include co-ordinating material in Rose Gold to wrap your door, we pre-cut this to fit your door and of course, every pack includes very easy fitting instructions. The Rose Gold Deluxe Door Bow Decoration arrives ready to use, fitting should take no longer than 15 minutes to be the envy of your friend and neighbours. 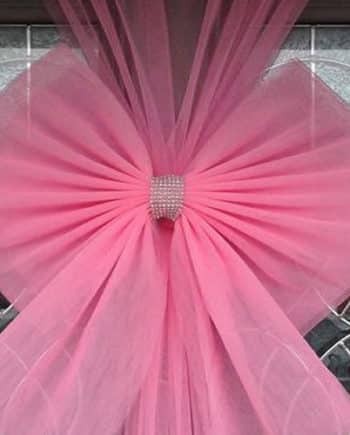 We select only the finest Rose Gold Door Bow material, ours is made of a weather resistant net that will not shrink or droop in rain, not made of a standard organza soft material that does not have such qualities you often see on online marketplaces. 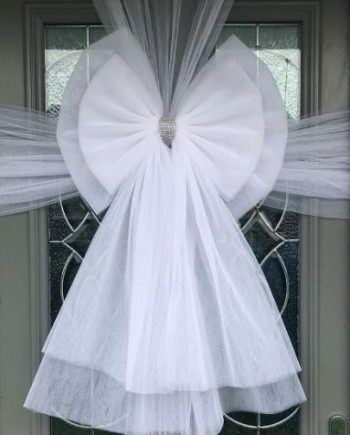 Many of our customers reported their door bows being in place for many weeks over the festive season with no change to the quality and appearance of the Rose Gold Deluxe Door Bow Decoration, in fact, they have packed carefully to use again next year. 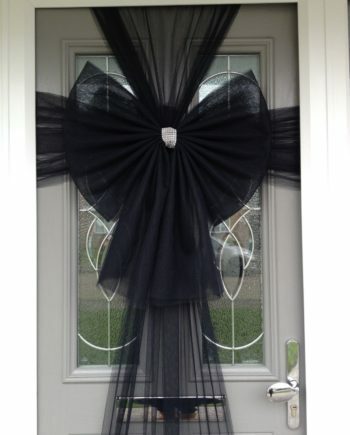 We have over 100 different colours available in our door bows.